Cantaloupe is one of our favorite fruit. Cantaloupe is also known as cantaloup, mushmelon, muskmelon, cantalope, rockmelon .Cantaloupe in milkshake, juice, ice cream or even as a fruit without any sugar tastes great. 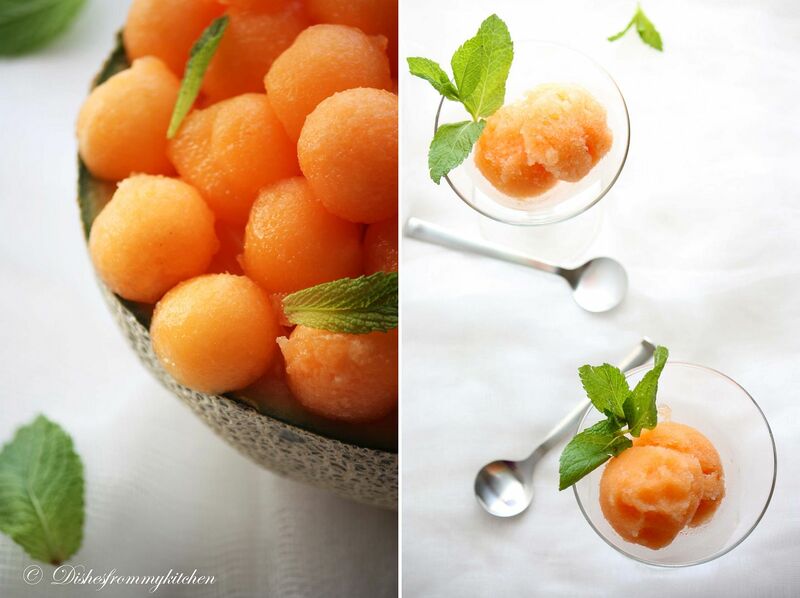 Try this cardamom infused cantaloupe sorbet, I am sure you would love this. 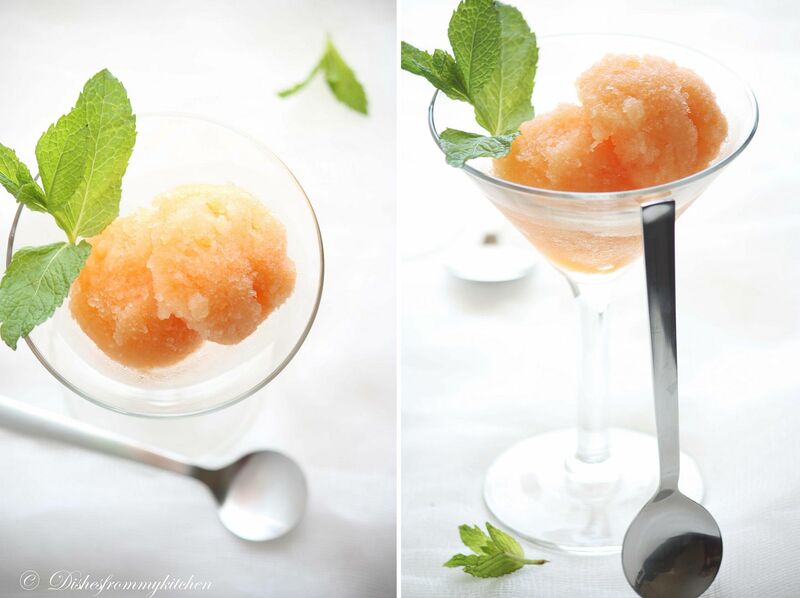 Difference between sherbet and sorbet take a look at this post. 1. In a bowl mix the cantaloupe and sugar keep aside for few minutes. 2. Puree the cantaloupe and transfer to a container. 3. Refrigerate for few hours. 4. Now stir in the cardamom infused sugar syrup and chill it for 3 to 4 hours or even overnight. 1. In a small pan bring the water, sugar and cardamom. 2. Let it be in the flame until the sugar dissolves. 3. Remove from heat. Close with the lid for 1/2 hr. 4. Strain the mixture and chill in the fridge for 1 hour before we add to the cantaloupe mixture. If your using Icecream follow the instruction as given in the manufacture's guide. 1. Freeze the above mixture, when it is frozen slightly , churn it in the blender. Repeat this one moretime. 2. Then freeze it for 6 to 7 hours. 3. Keep the frozen mixture for few minutes, before serving. Scoop it !!! 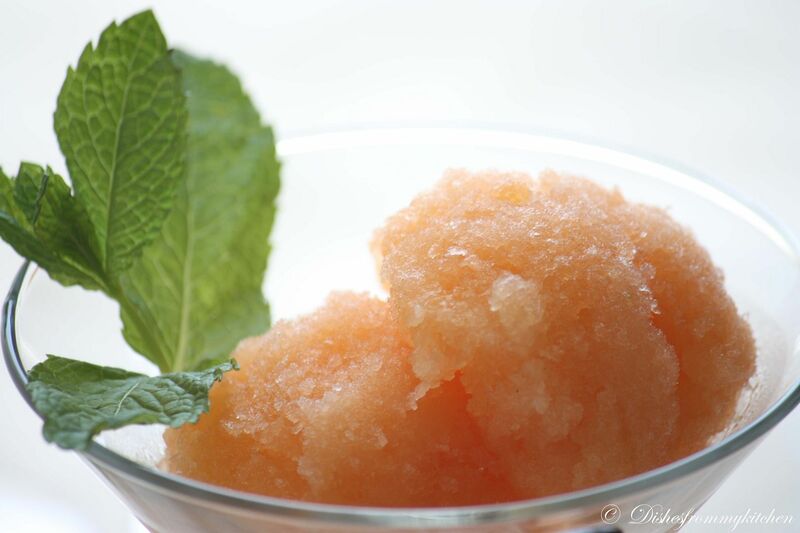 Beat the heat and enjoy the fragrant/fresh sorbet !!! 1. You can prepare the cardamom syrup and cantaloupe mixture ahead of time. 2. If you are using the ice cream maker, make sure the mixture is chilled for atleast 3 to 4 hours minimum, overnight would be good. 3.Keep the frozen sorbet out for 10 minutes before scooping. the sorbet looks so inviting. Ah! I would happily grab a class for this hot summer, very pleasing colours. Great recipe and the photos are so yummy:):) Love your blog! Wonderful and inviting shots.. thanks for sharing dear !! 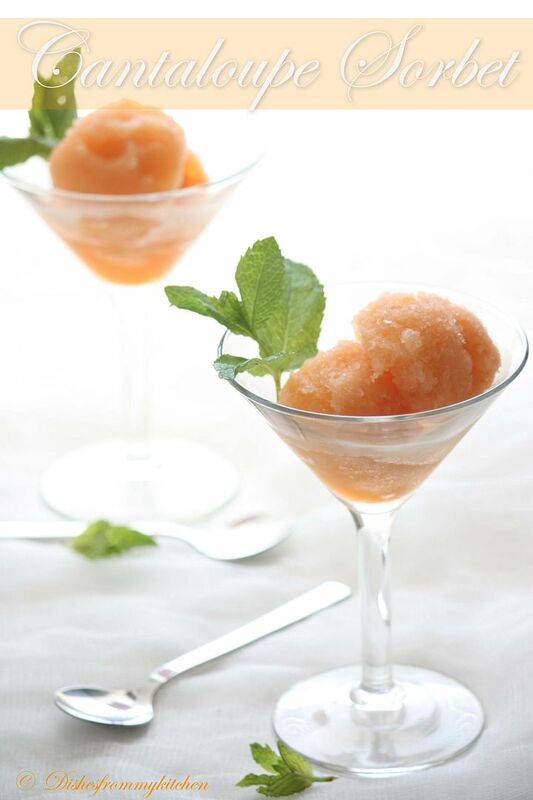 Woww fantastic sorbet to enjoy without any guilt..awesome! lovely color and perfect for summer !! Never heard abt this fruit...clicks are tmpting me so much..lovely colors in the pics!! This is simply gorgeous! Really refreshing and beautiful. Would really love to have some of this! 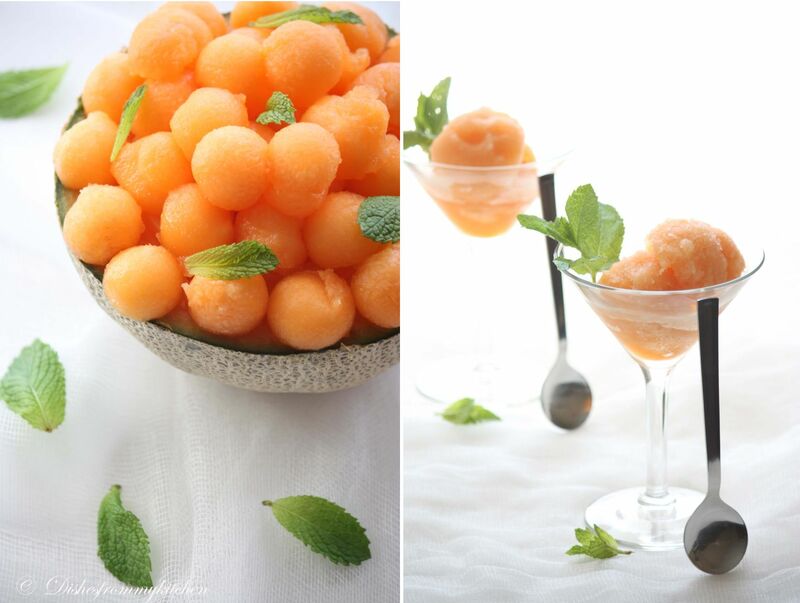 So refreshing and awesome sorbet. Colorful tempting clicks. oh gorgeous love the colour pavithra! Love this one never had heard about it. Needless to say I am trying it out. 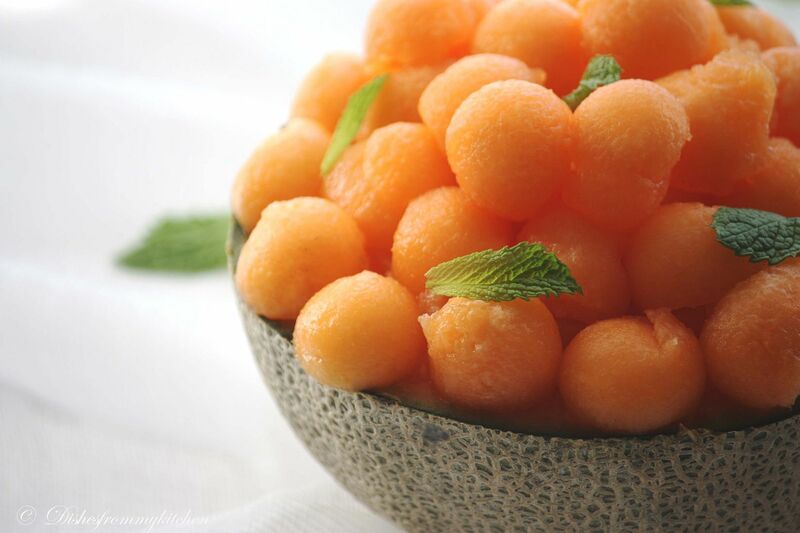 I love cantaloupe, your recipe looks delicious and refreshing!